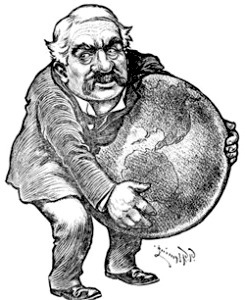 A cartoon depiction of JP Morgan, the hyper-influential banker of the early 20th Century. Several of Morgan’s banks and bank holding companies merged to form today what is known as JP Morgan Chase, one of the banks at the center of the LIBOR fraud. Sixteen banks at the core of the global financial system —including JP Morgan, Bank of America, and Citigroup— scored a major victory on Friday when a federal judge dismissed nearly all the charges brought against them by a group of plaintiffs that includes municipal governments, pension funds, bondholders, and other investors who lost billions of dollars as a result of LIBOR rigging. The ruling is a major setback, both legally, and financially, for those harmed by the LIBOR manipulation conspiracy. Among the most damaged are are thousands of local governments that were played like ATMs during the Financial Crisis by the banks. Banks used their power to set 3-Month and 1-Month LIBOR rates so as to extract potentially billions in interest rate swap payments from the public. Countless small investors lost equally huge sums of money as investments indexing LIBOR were rigged to pay out less. The lawsuit’s dismissal ensures that the banks will keep billions of dollars in ill-gotten gains. The ruling may also bolster the banks’ positions against ongoing investigations and settlements sought by government regulators in the US, Europe, and Japan. Strangely, the judge’s order (available here) acknowledged the massive global fraud that caused financial damages to the public in favor a few wealthy institutions. However, Judge Naomi Reice Buchwald relied on technical legal arguments to throw out the core claims of the lawsuit. In other words, the ruling doesn’t deny that the crime occurred and that the Plaintiffs sustained serious damages, but still dismisses the claims. Government regulators have already proven through their own investigations that LIBOR was rigged to enrich the banks at the expense of their customers and counterparties who entered into LIBOR-linked derivatives contracts, or purchased LIBOR-referencing securities. Beginning as early as 2005 Barclays, a member of the British Bankers Association, submitted false quotes to Thompson-Reuters, the company responsible for calculating and disseminating the different LIBOR rates each day. The false quotes were designed to skew LIBOR upward, or downward, by precise amounts, so as to benefit the positions of Barclays traders against their counterparties. In doing so Barclays violated securities laws and committed a fraud that harmed countless other market participants relying on LIBOR to value their financial deals. 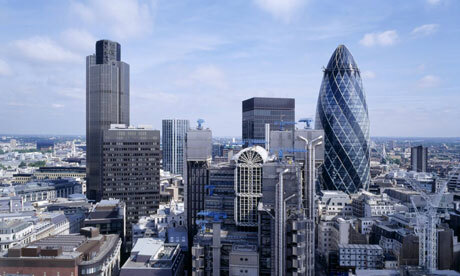 To date Barclays, UBS, and the Royal Bank of Scotland have all paid fines for manipulating LIBOR rates. A Japanese subsidiary of UBS even pled guilty to criminal charges, but regulators targeted only the Japanese subsidiary so as to leave the Swiss holding bank UBS legally unscathed. The fines for these three banks totaled only $2.5 billion, probably much less than they gained by manipulating various LIBOR rates for more than a half decade. None of the banks have been criminally charged. Even so, Judge Buchwald said that authorities are adequately investigating and punishing the financial companies, and that civil litigation to recoup money and impose penalties does little to advance justice. 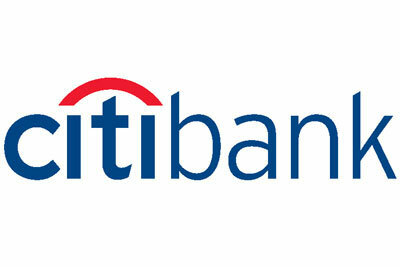 During the Financial Crisis beginning in late 2007, and through 2010, the banks manipulated 1 and 3-Month LIBOR rates downward in order to both give the impression that they were weathering the global liquidity crisis, and that investors should not withdraw their money or sell bank stock. (LIBOR is supposed to gauge the rate of interest at which a bank can secure a dollar loan from one of its peers, so lower rates appear to indicate a healthier bank balance sheet.) As credit markets froze up in 2007 and 2008, the banks hunted for cash to close out trades on losing positions and settle hefty credit default swap obligations, among other ballooning liabilities. The banks extracted bigger payments from their counterparties on swaps, and other derivatives contracts that use LIBOR to calculate interest rate payments, by further depressing LIBOR. Much of this cash was squeezed from cities, counties, public schools, public hospitals, public utilities, ports, airports, and other agencies that purchased interest rate swaps to convert variable rate bond debt into fixed rates. The manipulation of LIBOR since 2007 likely impacted swaps hedging hundreds of billions in public debt, causing billions in inflated payments by local governments to the banks. 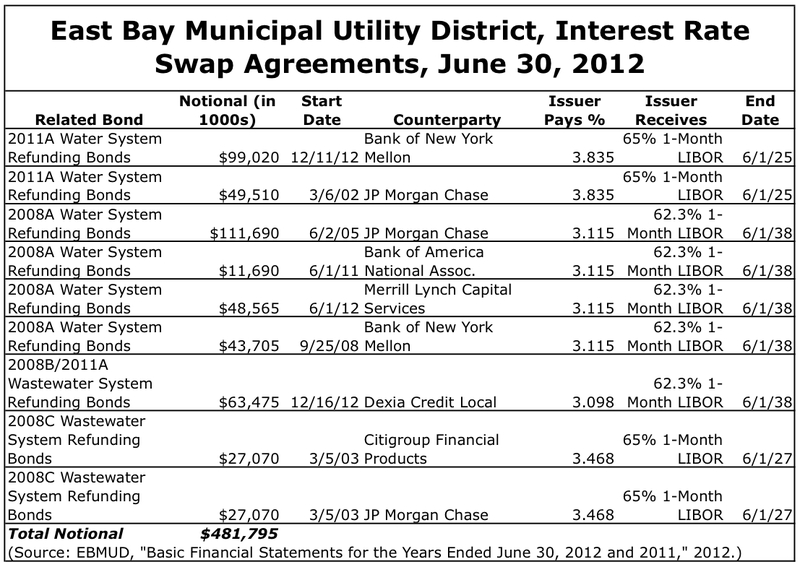 The City of Baltimore was a big purchaser of interest rate swaps used to hedge bond debt. Baltimore also purchased and held other LIBOR-linked derivatives as investments. Baltimore lost millions of dollars as a result of LIBOR manipulation, and filed its lawsuit against the banks in August of 2011. Other local governments soon joined Baltimore, creating a class action group of plaintiffs that potentially included hundreds or thousands of local governments across the United States. Bondholders and other securities investors filed their own separate lawsuits alleging fraud and damages due to the bankers’ conspiracy. All of these cases were consolidated before Judge Naomi Reice Buchwald in the Southern District Court, District of New York in 2012. The local governments united behind Baltimore —including most recently the California cities of Richmond and Riverside, and counties of San Diego and San Mateo, as well as the East Bay Municipal Utility District, all of which filed their own lawsuits early in 2013— sought to recoup damages from the banks by using US anti-trust, and anti-racketeering laws under the Sherman Act, Clayton Act, and the RICO Act. Judge Buchwald ruled, however, that the Plaintiffs cannot sue under these laws because they have not sustained anti-trust damages, among other reasons. With respect to the anti-trust allegations, Judge Buchwald argued that LIBOR was never a “market” rate that banks competed among one another to set. Instead, Buchwald notes, rightly in fact, that LIBOR was a non-market endeavor that did not reflect an actual rate the banks borrowed money at, but a rate at which the banks claimed they could borrow money from one another. Because the banks were not in competition with one another to produce LIBOR, they cannot be said to have suppressed competition, or manipulated the market. The damages sustained by local governments as a result of LIBOR rigging cannot technically be said to have resulted from an anti-trust conspiracy, said Buchwald. This of course will come as a surprise to close observers of the financial system; LIBOR became the underlying interest rate of reference for the global derivatives market precisely because it was assumed that it was an honest determination of the rate of interest, or price, which banks charge one another to secure dollar denominated loans. Indeed the motives of some of the banks to depress their individual LIBOR quotes between 2007 and 2010 indicates that each bank’s individual quote was compared to other banks to gauge the company’s health, making it a somewhat competitive measure of credit worthiness. Countless financial workers, from CEOs to floor traders, have assumed for years now that LIBOR was a market rate. Even Bloomberg News, the financial industry’s favorite online news and data source, lists LIBOR under its “market data” tab. But even if LIBOR had taken on some pseudo-market characteristics, and even though it was believed to be an honest determination of lending rates, Judge Buchwald is correct in noting that LIBOR was never a mechanism of the “free markets” which anti-trust laws are designed to regulate. Instead, as I have pointed out elsewhere, LIBOR was always “a club of powerful banks inventing the price of money, and expecting that other banks, corporations, and even sovereign states would accept their word.” This raises a fundamental question that the LIBOR lawsuits have proven incapable of addressing. Because they are predicated on anti-trust laws, these lawsuits assume free markets in which some participants abused ill-gotten power to distort otherwise fair prices. The current financial system is not a “free market,” and bank rates are inherently political in nature. The second law around which Baltimore and other local governments built their case was the Racketeering Influenced and Corrupt Organizations Act, better known as RICO. Here Judge Buchwald ruled that the Plaintiffs have no case against the banks under RICO, first because of a 1995 law that virtually exempts financial criminals from being subject to RICO law, and because of the global nature of the crime. The Private Securities Litigation Reform Act (PSLRA) was written by the financial industry and passed after an intensive lobbying effort that included spending millions on the elections campaigns of both Republican and Democratic Senators and Representatives by the world’s biggest banks. Under the PSLRA, crimes by financial companies that would otherwise be subject to RICO, are instead exempted under the rationale that they are better dealt with under securities fraud law. The PSLRA also made it more difficult for scammed governments and customers to sue powerful financial companies; securities fraud lawsuits can only be filed and advanced with strong evidence of wrongdoing before trial. RICO lawsuits, on the other hand, can be filed with less evidence, relying on the pre-trial discovery process to turn up more facts and build a stronger case. This informational asymmetry that greatly disempowers the public, and small fish in the financial markets, and favors the big banks, brokers, and traders, was precisely the point of the PSLRA, and even though President Clinton vetoed the law upon its passage in 1995, the Congress, in a rare show of bi-partisan cooperation, and swimming in financial industry cash and influence, overturned his veto. As if this legal roadblock isn’t enough to kill the RICO claims, Judge Buchwald added that the global nature of the LIBOR fraud exempts the crime and the criminals from prosecution under RICO. “RICO applies only domestically, meaning that the alleged “enterprise” must be a domestic enterprise,” ruled Buchwald in her decision. “However, the enterprise alleged by plaintiffs is based in England,” where the British Bankers Association is based, and where Eurodollar securities are traded. So in this case the global nature of the financial system serves to put the banks beyond the reach of the US law. Judge Buchwald relied on other technical aspects of federal and state laws to dismiss the LIBOR Plaintiffs’ claims, including the the statute of limitations under the Commodities Exchange Act. The CEA’s statute of limitations is two years from the point in time that the harmed parties become aware of the potential crime. Under a complicated chain of reasoning including the publication dates of various press reports and academic articles raising doubt’s about LIBOR’s assumed validity, Judge Buchwald dismissed any claims against the banks stretching back to manipulation of LIBOR prior to May 29, 2008, and barred most other possible claims related to LIBOR manipulation before April 15, 2009, leaving virtually only instances of LIBOR rigging after that date as crimes that the Plaintiffs can sue for damages over. The Plaintiffs bringing the LIBOR lawsuits forward could not be reached before press time, but they still have the ability to appeal the decision if they so choose.